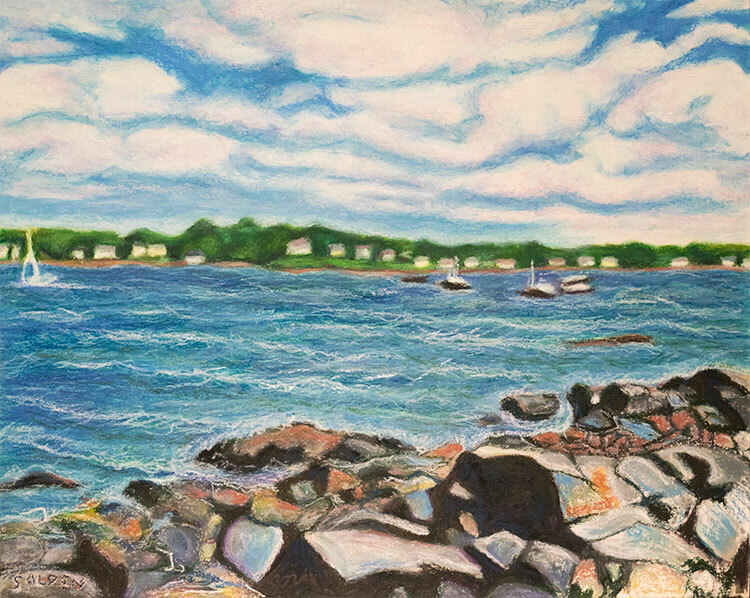 Beverly Massachusetts artist Sheila Alden is a highly versatile artist who primarily creates fine paintings in oils, acrylics, oil pastels, and watercolors. She also renders intricate drawings using a variety of media including pen and ink, and pencil. Digital photography, digital art, illustration and graphic design are skills Sheila excels at. By selecting inherently beautiful subjects and emphasizing aesthetics, Sheila considers making art a craft which she executes using clear formal principles and elements of design. She believes that if an artist follows these rules, their work will capture the viewer’s attention and oftentimes result in exceptional beauty. Her artwork is a combination of both realistic and impressionist styles. Expert use of color and line draws the viewer into and around her compositions. Her passion for capturing the beauty that abounds in nature, and life is apparent in her work. Her work appears at first glimpse to be influenced by Impressionists including Matisse, Van Gogh and Renoir. Nonetheless there is an underlying structure based on realism. However, further examination reveals Sheila has a style all her own. Sheila took numerous Art History classes at the University of Massachusetts Lowell. These classes included many that focused on the great masters. Markedly this knowledge plays a big part in Sheila’s success as an artist. Sheila has years of formal studio art training which she obtained while attending Emmanuel College. Sheila’s art is knit together with her loves and passions, life experiences, and intellectual considerations. Practice and hard work contribute to the creation of a solid technique and genuinely original body of work. Her professional art career is mainly focused on creating oil paintings, watercolors and pastel paintings, as well as drawing. She embraces the whole procedure, from the quiet concentration required for inception, through the process of creation, to the finished gallery ready framed piece. 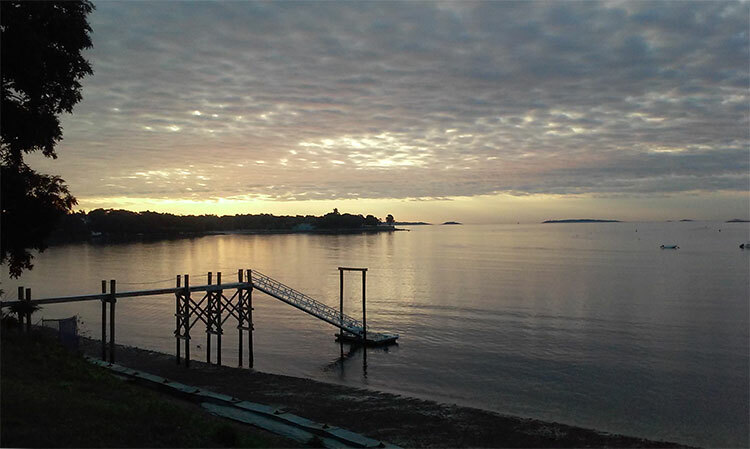 Sheila is inspired by the natural beauty of the coastal towns in Massachusetts’s North Shore. As a Beverly Massachusetts artist this includes Beverly, Essex, Gloucester, Manchester, Marblehead, Newbury, Newburyport and Rockport. These coastal towns are a feast for the senses; dramatic sunrises and sunsets, picturesque gardens, and spectacular coastlines with unique geography. At times Alden paints en plein air, and other times she takes photographs on site to later transform into paintings, in her studio. Sometimes she sets up scenes indoors often featuring floral arrangements. She may incorporate her cats as the subjects in these works of art. As with her outdoor work, she often takes photographs to work from later. Sheila loads the photographs into her computer, and forthwith sorts them and runs them through a strict selection process. Photographs are judged according to their design strengths such as color, pattern, line, and repeating forms. After she processes a photograph to use for a painting she applies the sketch to the ground. Then comes the rich application of paint characterized by bold brushwork. Often allowing one layer to dry before applying the next. She creates her art using high quality archival materials. Her bold brushwork, captures emotional energy into a tangible memory. She employs rich complex patterns of color. Her technique often varies somewhat from painting to painting. At times she utilizes a limited palette, and other times uses a countless array of shades and tints of colors. She also manipulates the oils with mediums of varying degrees of opacity, and experiments with papers and substrates. Always striving to find a way to take her artwork to a higher level. Her painting is a combination of passion, emotion and love. Sheila takes exceptional joy with sharing the results with others. She is thankful to all those who enjoy her art, and offer her encouragement and support. Alden believes the experience of art creates a bond between the creator and the viewer that is universal and far reaching. 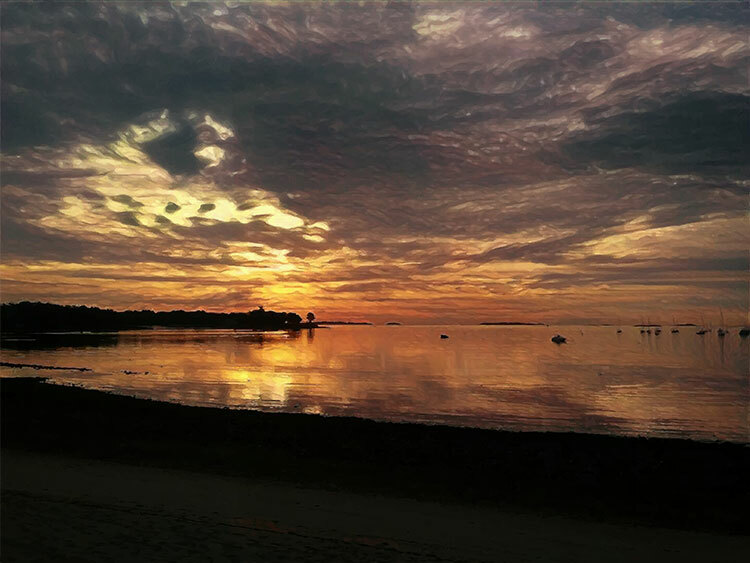 For more information on Beverly Massachusetts artist Sheila Alden, visit her home page and biography page. 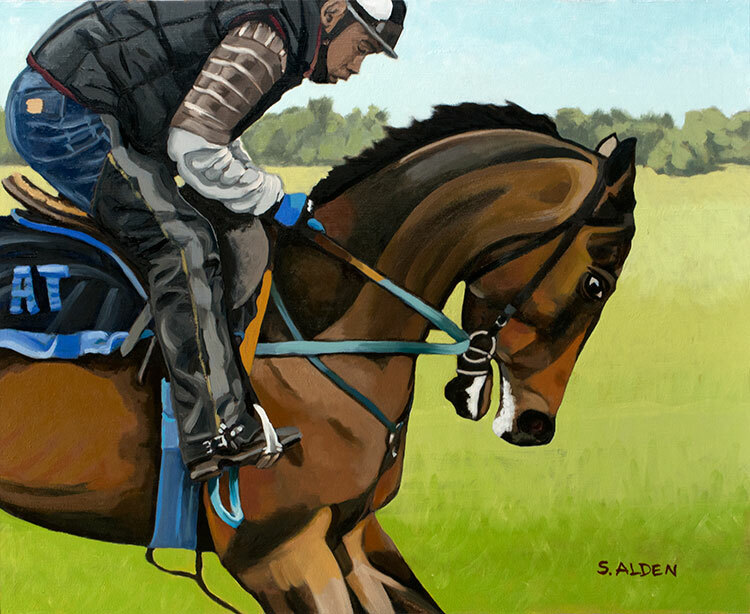 Please visit the online gallery to see Sheila Alden’s oil paintings, oil pastel paintings, watercolors, and drawings. Also, check out the Calendar for upcoming events and the Exhibits page.